We had hoped to be open this weekend, both Saturday and Sunday. However, we got picked out today. 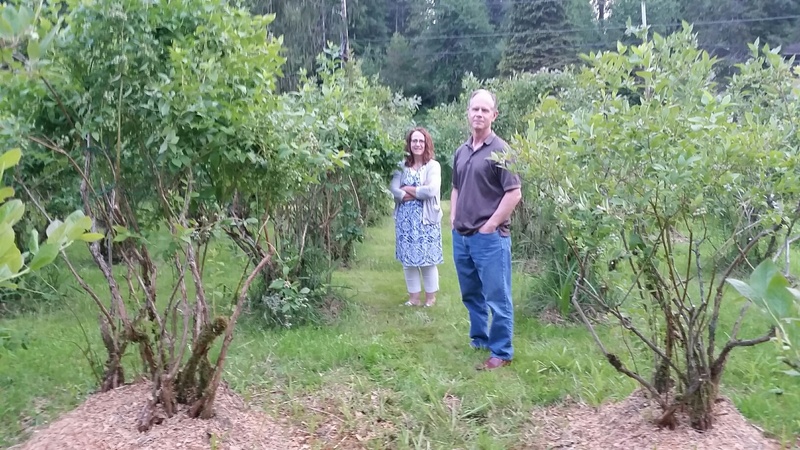 So, we decided that it was time to close the blueberry farm for the season. We may allow people to pick sunflowers even though the farm is closed; check here to see how we may handle that opportunity. Thank you for choosing our farm! Tim and I want to thank all the people who visited the farm this summer, both "old timers" and new customers. It was a pleasure serve you. We plan to continue working on the farm so you have a better picking experience next summer. I also plan to continue posting to Facebook; for example, posting blueberry recipes that we enjoyed and and progress that we're making on the farm. We plan to have a "pruning workshop" in the early spring. You will get a chance to learn how to prune blueberry bushes, something you might find useful if you have bushes at home.